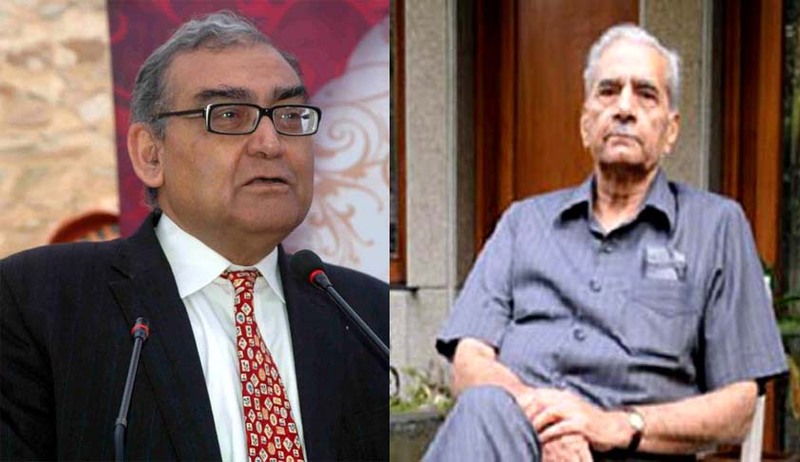 Justice Katju had recently wrote a letter to Senior Advocate Shanti Bhushan requesting his “Committee on Judicial Accountability” (COJA) to conduct an investigation against CJI H L Dattu on account of corruption charges. Earlier, Justice Katju had sent Bhushan a dossier containing documentary proof of the large scale corruption by him. This dossier of about 100 pages included several photocopies of sale deeds by which Dattu and his family members illegally acquired a large number of properties in Bangalore. There were also photographs of a palatial house built by Dattu in Bangalore on 1200 sq.m. land sent by Justice Katju via email. It is noteworthy that Shanti Bhushan and his son, Senior Advocate Prashant Bhushan are the founding members of COJA ( Committee on Judicial Accountability ). Justice Katju has urged them to call a meeting of COJA and undertake investigative steps into the allegations in the dossier. The email confirms the fact that the allegations were found serious by Bhushan himself. “Prima facie it seems that Dattu has amassed a fortune, and he must explain ( 1 ) how he came across such wealth, ( 2 ) whether it is true that the Karnataka Land Reforms Act was flouted in these deals ( 3 ) whether the rules of the society in which some plots were purchased were flouted ( 4 ) why were several plots purchased in the name of Dattu's wife Gayathri showed her as daughter of Guravayoor, instead of wife of Justice Dattu, etc.,” wrote Justice Katju in the email. The email also discloses how he had sent the dossier to then Union Law minister Mr. Ravi Shankar Prasad and there was no action taken by him. He emphasized that the investigations should take place soon as much time has elapsed already.
" Yes indeed the allegations were serious. However, the documents did not fully make out the case. It is the policy of COJA ( Committee on Judicial Accountability ) to start some proceeding only when it has evidence which makes out a cast iron case. COJA does not havethe power of investigation. Only if the government is willing the matter can proceed further. It is only in cases of complete evidence of misconduct an attempt to get MPs sign an impeachment motion has any chance of success "
In response to Bhushan’s letter Justice Katju again requested to re-consider his request.